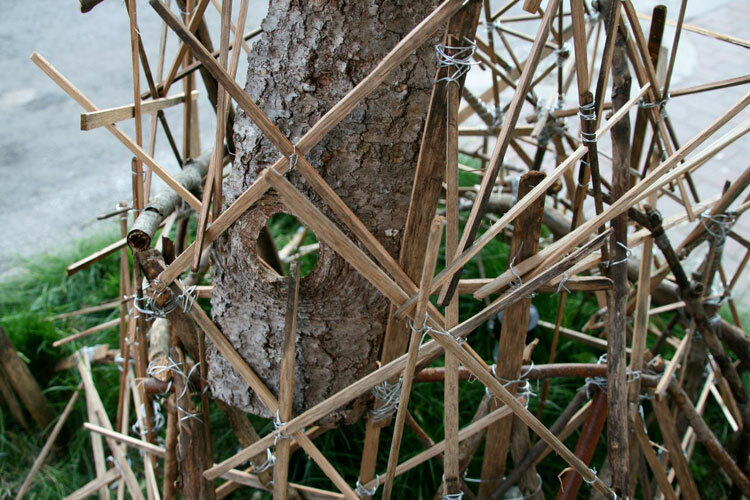 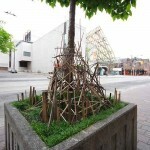 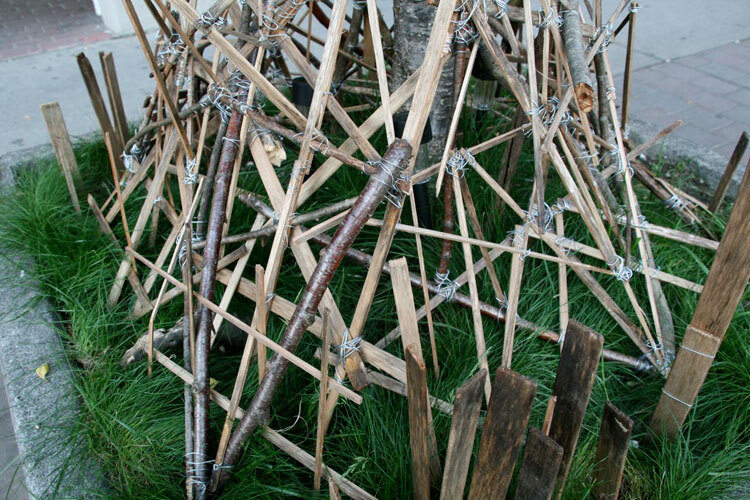 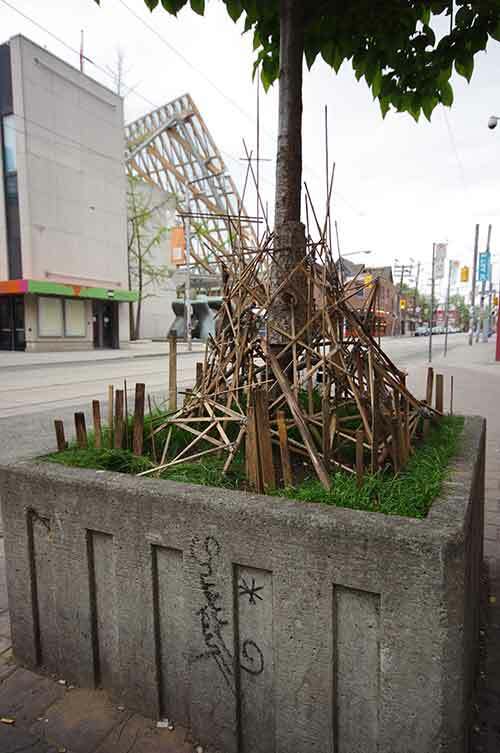 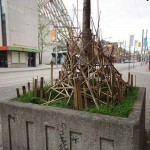 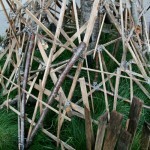 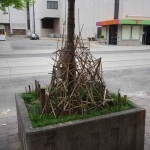 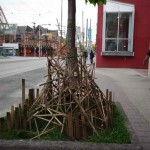 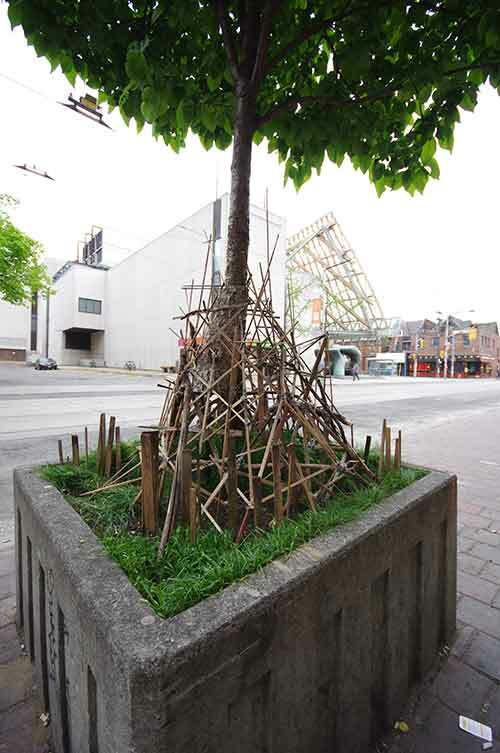 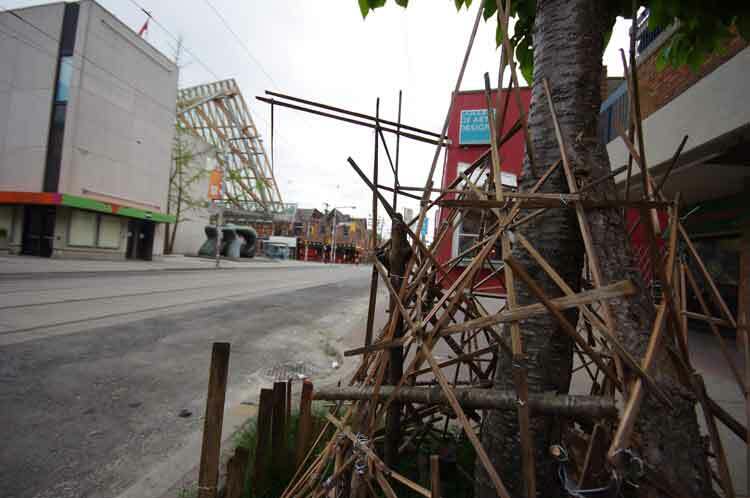 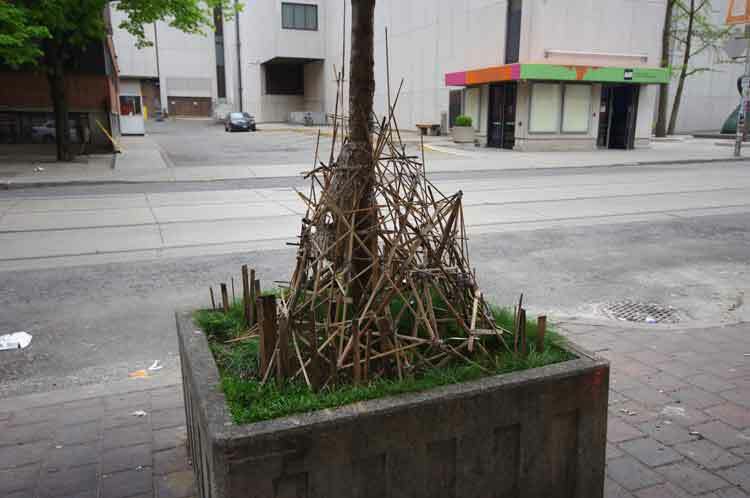 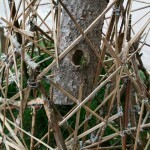 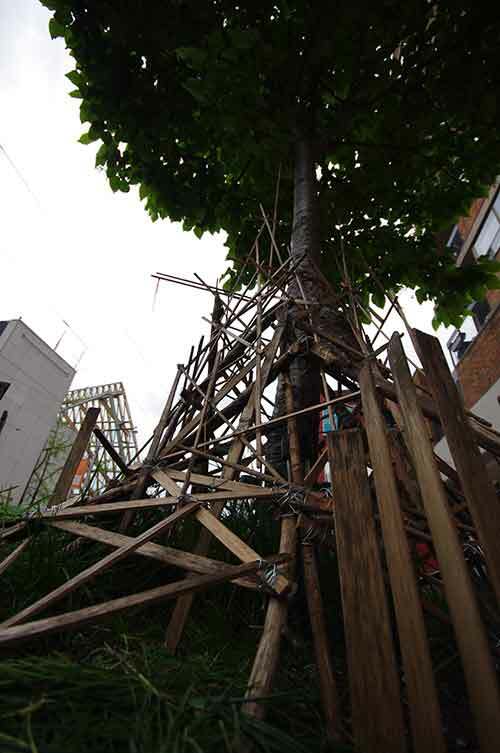 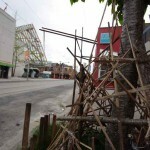 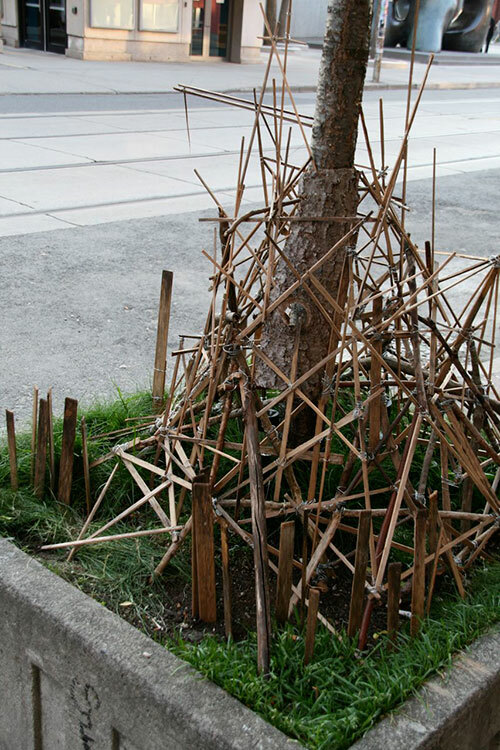 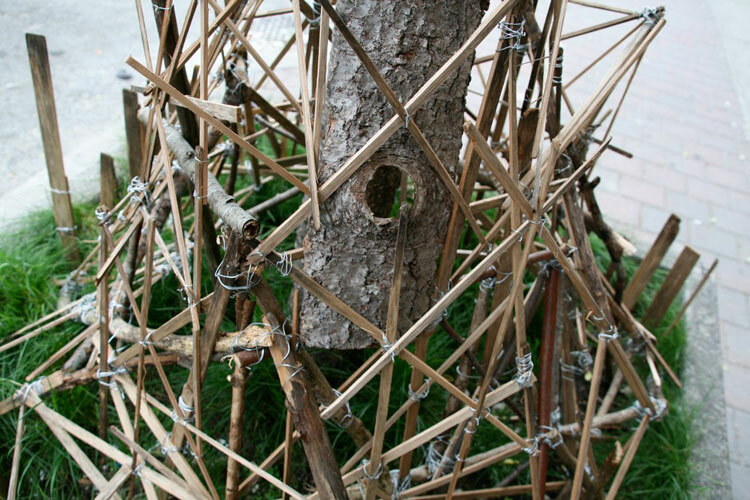 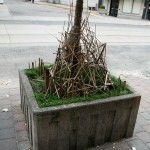 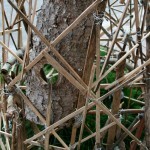 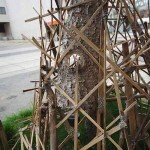 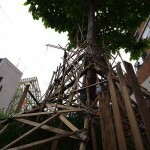 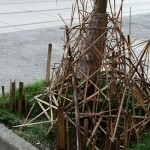 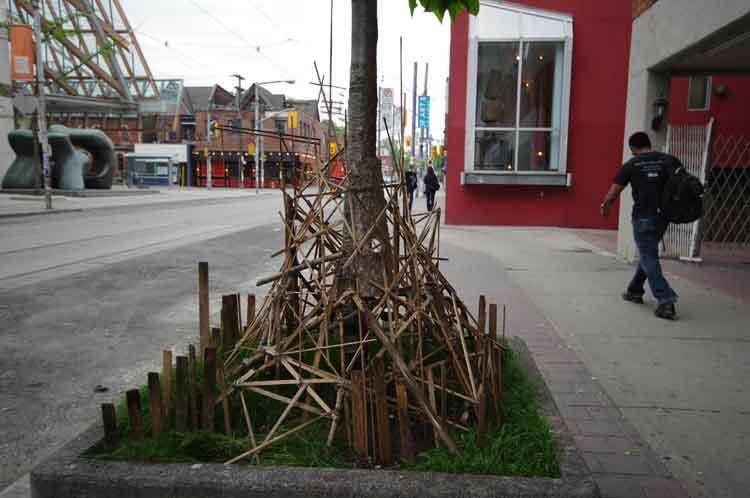 "A planter installation made from found sticks, cut rotting vainer slats and wire, this piece is about the manipulation of the natural world and the claustrophobic condition of the natural environment in our city. 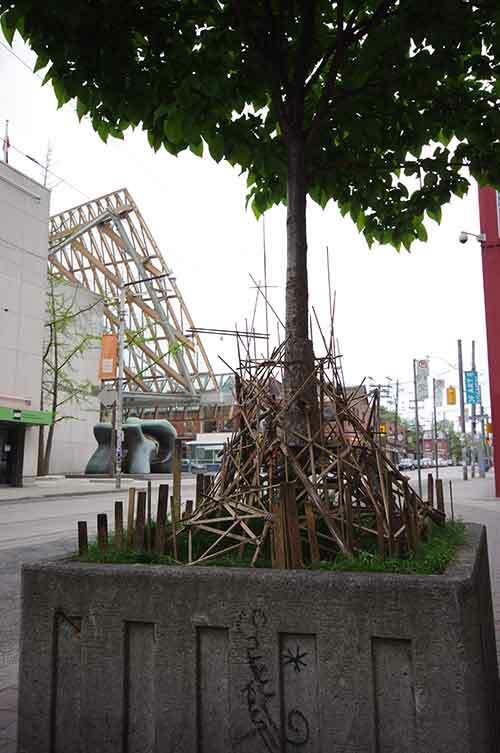 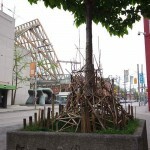 Placed within view of the AGO's industrial facade and the OCAD U stilts, there is an immediate relation to the meaning of the piece and the environment the planter is located. 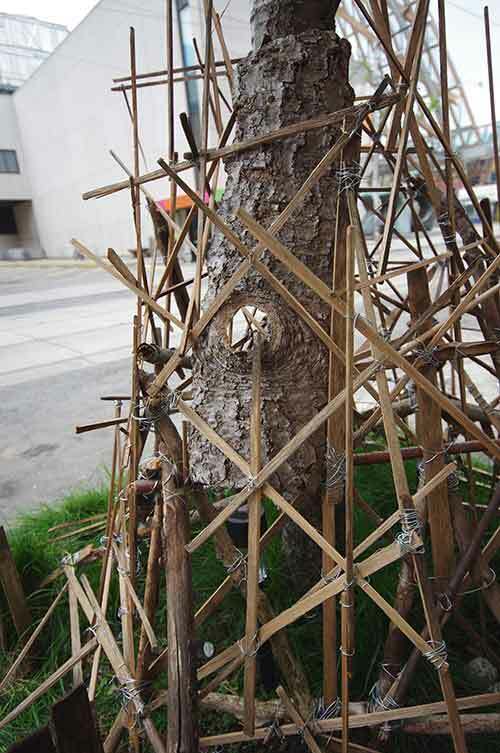 The construction-like form contains the tree, attempting to create a chaotic yet orderly geometric atmosphere. 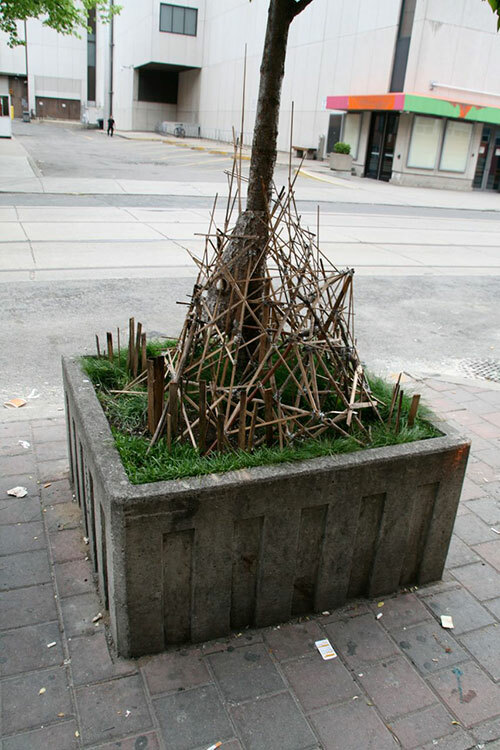 An exaggeration of the current condition of trees that inhabit these small blocks of concrete but also a metaphor for a larger global interaction."